From contemporary Christian to Classical violin and piano. Layered vocals, creative instrumentation and solid performances. Mark and Elisabeth Sooy are gifted musicians and committed to excellence in all they do. 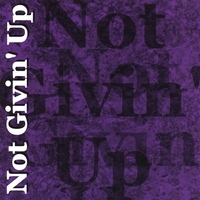 The CD “Not Givin’ Up” represents only a small portion of their God-given talents. As performers, worship leaders and musicians they have impacted organizations throughout the country through worship leading, concerts, teaching and training. They specialize in working with leaders in developing an organization's talent to serve with quality and consistency. As consultants, key areas of influence include Organizational Development, Team Development and Leadership Consulting for businesses, churches and ministry organizations. With over 20 years of experience, there is plenty of insight that can be drawn upon to improve almost any situation. For further information, please visit www.MarkSooy.com or www.blue-maroon.com.